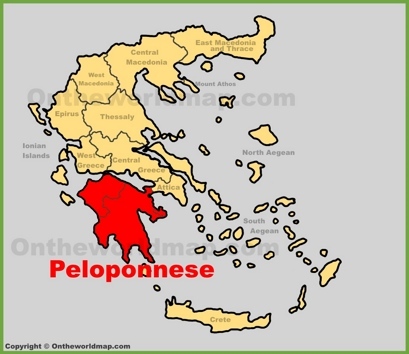 Region: Peloponnese and West Greece. 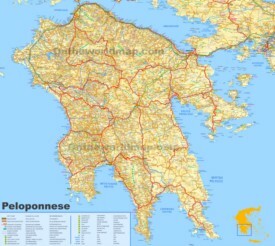 Cities: Patras, Kalamata, Corinth, Loutraki, Nafplio. Area: 8,320 sq mi (21,549 sq km).